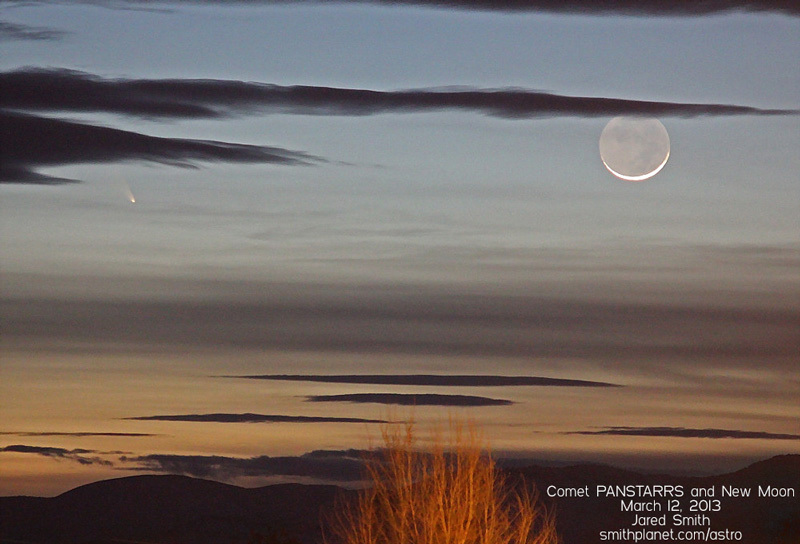 A time lapse video of Comet C/2011 L4 (PanSTARRS) setting over Gunsight Peak in Northern Utah. 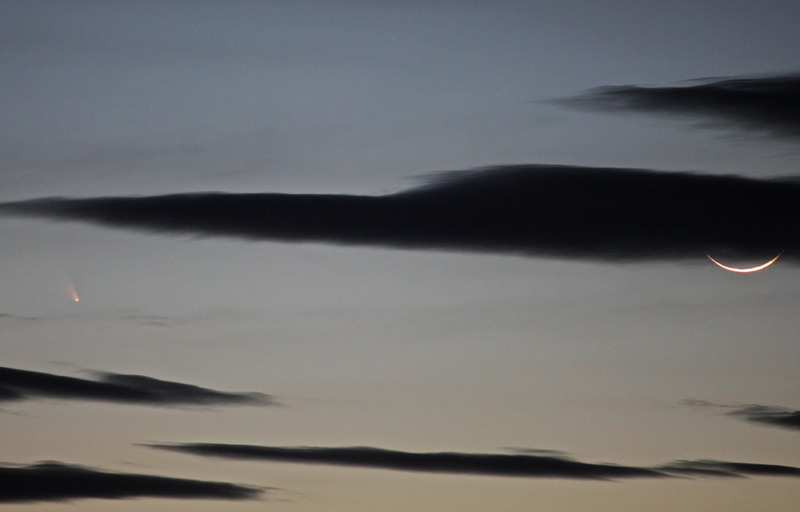 A compilation of about 250 1.5 - 2 second exposures taken with a Canon T3i and 55-250mm lens. Very strong winds and accidentally leaving the lens VR feature on caused it to be a bit shaky, but I think it turned out well. You can see several airplanes streak through the video. Comet C/2011 L4 (also known as PANSTARRS) is a non-periodic comet that was discovered in 2011. It has slowly been traveling toward the sun for millions of years from the furthest reaches of the solar system. It recently swung past the sun and is now beginning to be visible very close to the sun in the evening sky. It won't make it's way back to this part of the solar system for another 100,000 years. 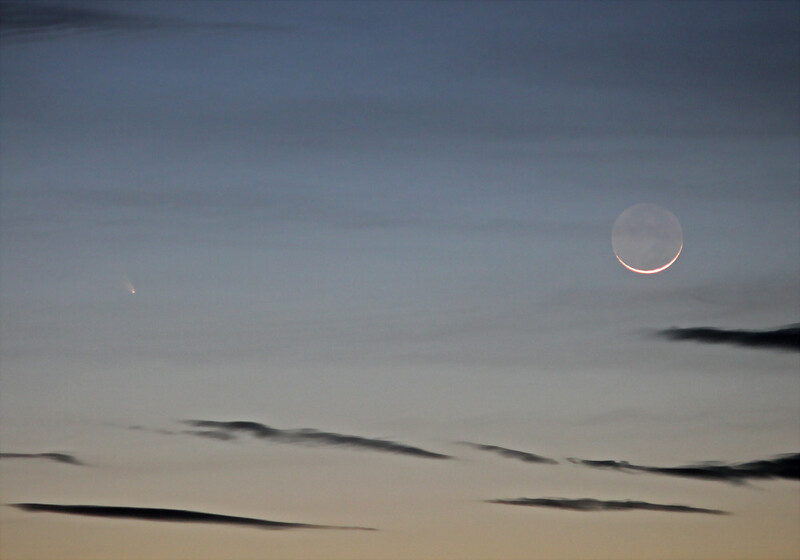 These photos are particularly of interest due to the comet's close proximity to the very new sliver of a moon. Taken with a Canon T2i with a 55-250mm IS lens.